The Respect Party of ex Labour Party member, George Galloway, has won the Bradford West by-election by a huge majority, crushing the official Labour candidate by over ten thousand votes. The other Parties were distant also-rans. Galloway seems to have won this contest by mobilising the Muslim youth, particularly those with connections with Pakistan, by stressing his previous opposition to the wars in Iraq and Afghanistan, his previous Pakistani honours and his adherence to some Muslim culture. That he seems to have won the confidence of local Imams seems evident by the huge turnout in his favour. The question is: was he right to do it? Surely the point of elections in the UK is to elect the Party that will do more for the electorate of that particular seat. It seems that Galloway won his seat with a manifesto that owed more to promises on foreign affairs and addressing the concerns of the Afghanistan Taliban rather than the people of Bradford. Now he is back in Westminster, will he be obliged to promote the interests of his Muslim constituents at all times. What if there is conflict with the white community and how will he peacefully reconcile differences? I believe that the sweet talking Galloway is going to rock the boat and he doesn't care who is going to go overboard in his determination to hit back at the Party that expelled him under Tony Blair. Sadly, amongst those to lose in this one-man's vindictive resolve to seek revenge for the slight, are going to be the indigenous white population who will find themselves disenfranchised in the new Muslim dominated North Midlands. 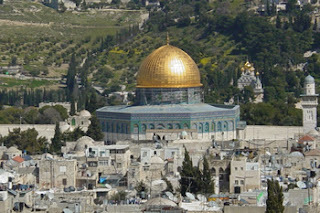 I wonder if this election will mark the beginning of a huge exodus of the non Muslim population of the region and will it lead to widespread civil unrest as the East meets West in a devastating conflict of cultures. A polite question. If Allah is so great, why have so many Muslims quit Pakistan and settled in Christian Britain? Why? The latest news that an Afghanistani army officer shot dead two British troops for not allowing him entry to an airfield should tell us something about the Afghanistanis and this war. That the Afghanistani was also shot dead begs the question of whether or not he built this possibility into his action- in other words was this a suicide mission and was the officer a Taliban sympathiser. Whatever, is it not now the time to say enough British lives have been lost in support of a nation that is lost to Western and civilised influence? The country as far as I can tell are not appreciative of what is being done on their behalf and most resent the presence of foreign troops on their soil. In almost ten years of war, they produce as much heroin now as they ever did and production will increase when the US and British forces leave in two years time. The Taliban too will be back, leaving one to ask, why not leave now? I don't think that those troops that have died so far would think that they've died in vain by leaving the theatre of war early especially if it preserves a single British life. No! As usual they have performed their task with the customary bravery and fortitude associated with British forces. It is for history to decide whether or not Blair and other politicians blundered by entering this far off conflict and if it improved global security. In my opinion it will make no difference; at least no more than better vigilance by the border authorities, inspecting visitors from Pakistan, say, would have achieved and a stronger, more determined effort to weed out the troublemakers at home. A former Goldman Sachs senior trader has broken cover and told the world that the big banks think of their customers or clients as 'muppets'. He adds that their sole purpose in life is accumulating more wealth for themselves rather that provide a service. We didn't need this confirmation- we already knew that non-retail banking and investment bankers are the epitomy of greed, both for money and power. The question is-when will Governments around the world have the courage and conviction to rein these people in before they become so powerful they move outside the scope of the law altogether? I watched two television programmes recently that set me thinking. The first was presented by the Venetian nobleman Francesco da Mosta who was touring his native Italy. He was explaining that a characteristic of the Italian people owed something to a legacy of two thousand years of the Roman Catholic Church. 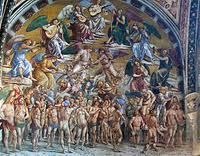 To illustrate his point he took the viewers to a chapel in Orvieto cathedral which depicted scenes from the New Testament book of Revelations, that vividly pointed out the trauma of the last judgement and the fate of mankind. The other programme was Horizon's look at the subconscious human brain and it's huge untapped potential. One of the revelations of experiment had found that the human brain had the capacity to ignore negativity in making judgements, encouraging the breed to take chances in pushing back boundaries, promoting innovation, enterprise and exploration. In other words it has been crucial in the development and growth of the human race. Although da Mosto felt that the murals in Orvieto may have frightened the faithful, he may have been reassured that the subconscious Italian brain would automatically be discounting the religious threats, allowing the nation to bring up a normal ration of sinners. At last people are beginning to agree with me. Democracy does not work in the Nation's interest! Fact! Professor David Dunning, a psychologist at Cornell University, believes that many incompetent people simply lack the intellectual tools to make reasoned judgements about candidates. Why then ask them to?? The people should have a voice in a talking shop like the Houses of Parliament, where topics should be debated, but although weight might be given to arguments, nothing binding on the Governing body should be passed. The unpaid Governing body, appointed by the Monarch, should solely consider the National Interest in running the country. I have just received a rejection letter from the BBC. I've had rejection letters before from literary agencies but I was particularly sad on receiving this one. it was a standard letter explaining that they received so many submissions they could only assess a work on the first ten pages and in my instance, they were not sufficiently impressed. But why was I particularly saddened by this refusal? I have read many previous screenplays displayed on the BBC web site that have left me wondering on their particular merit. What is it that has captured the reviewers interest in these works? Why is it that these works excite but mine doesn't? It is necessarily a subjective science but I did notice that nearly all the scripts shown were post watershed dramas, not suitable for family viewing. Recently the BBC has shown a gripping drama, 'Inside Men'. I watched and enjoyed it but it was hardly a programme to watch with the children. When, therefore, I submit a 'feel-good' drama for all the family to watch at Christmas, a programme that features the three Magi submitting their gifts in an edition of the renown BBC programme, 'Antiques Roadshow', I thought that it might merit more than the ten page scrutiny, particularly since in these austere times it might be inexpensive to make. I know that the BBC writersroom receive thousands of scripts a month, but I would like them to be more honest about the selection process. Is it the case that most commissioned dramas are from writers already with the BBC and that the chances of having a work accepted are so infinitesimally small as to verge on the impossible?